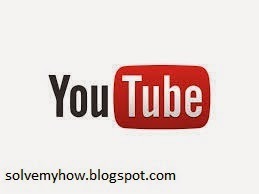 youtube is the Video sharing website where user can upload his/her video and share it with the world. Remember i said its video sharing website means you just have everything in video format. But, what if you like some video and wants it in either audio or in ringtone format. So, Is there is any way to Convert YouTube Video's into audio or Ringtones ? Well, the answer is Hell Yes ! Let's Do it Step by Step ! Step 1 :- Visit Youtube.com . Select the Video you want to Convert into Mp3 and Copy the URL. 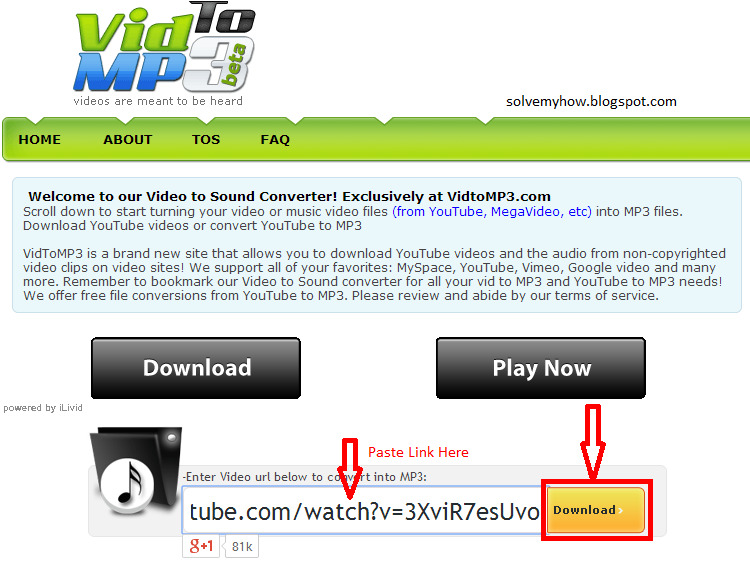 Step 2 :- Visit VidtoMP3 and Paste Youtube's Video URL into the Input Box and Hit Download Button. Now, It will do some Process and give you MP3 Downloadable button. Just Click on it and It will start Downloading the audio File. Now, this was all about converting Video to audio/mp3 File but what if you want to Covert Video into Ringtone. To Convert Video into Ringtone Do Step 1 as it is. P.S You can also use ogyoutube tool to download youtube videos. Step 3 :- Visit MadRingtones to convert YouTube Video into Ringtone. 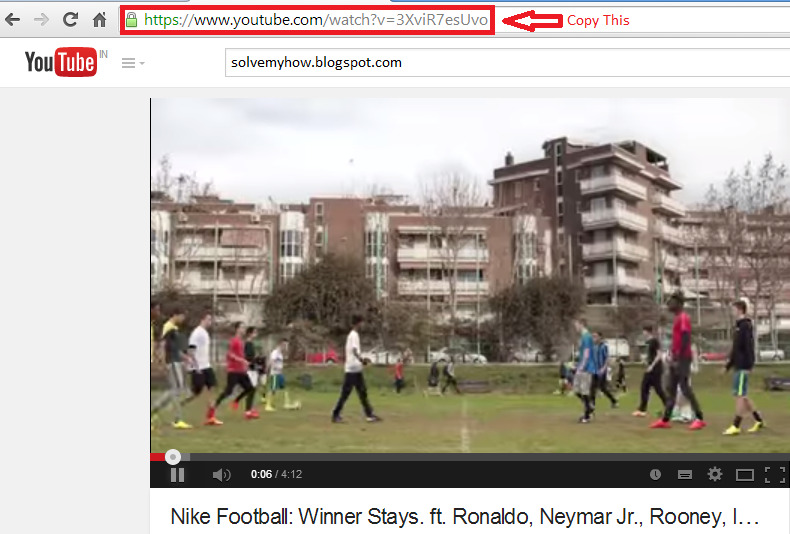 Just paste the youtube's Video URL and Hit Convert. Thanks for stopping by and commenting. I'm glad you liked this post.